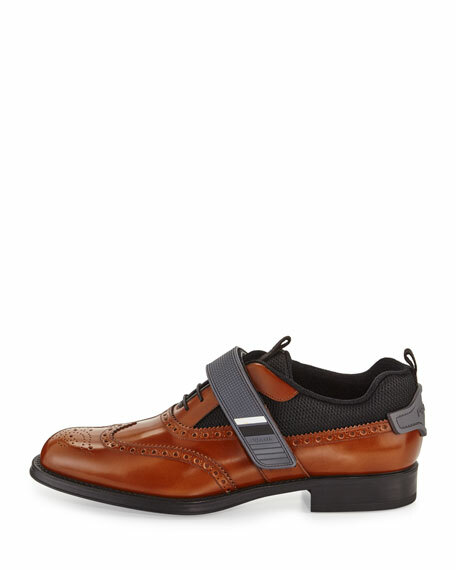 Prada men's hybrid dress shoe/sneaker in calf leather and textile, from the runway collection. 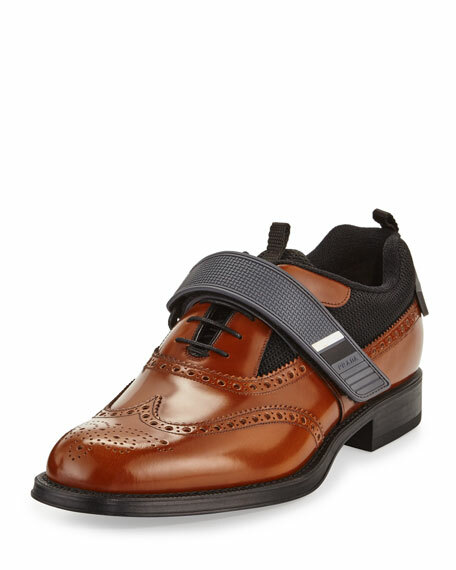 Full brogue detailing, including wing-tip medallion toe. Lace-up front with rubber grip strap. Padded tongue and collar with front and back pull. For in-store inquiries, use sku #2094235.